Five reasons to take it outside. There are tremendous ongoing cost differences between indoor and outdoor space. These include heat, taxes and actual building value versus land value. Often overlooked are the costs of lost production due to a lack and inefficient use of floor space. An efficient plant maximizes valuable floor space for production. Robotics, presses, workstations and many other types of production equipment must be located inside the plant. Equipment required to operate the actual facility, such as high voltage transformers, HVAC and air make-up units, are conveniently located outdoors. As a utility, one would presume compressed air equipment would be located outdoors as well, protected from a wide range of undesirable conditions, such as contamination, inefficient ventilation and high operating temperatures. On the contrary, plants routinely waste space around compressors, dryers and filters so equipment can “breathe” properly, when, in fact, clean intake air and correct ventilation are key to an efficient, reliable and long-lasting system. It’s easy to add or relocate equipment. Plants that are experiencing growth usually require more floor space and compressed air volume. An outdoor compressor room can be an add-on to current equipment while maintaining existing indoor space. Additional savings are realized during re-installation at a new facility. Adding compressed air for temporary or permanent use is done easily. Most outdoor compressor rooms are designed to include a complete set of compressed air equipment, shipping brackets, ventilation and electrical, all of which can be shipped with little preparation using a tilt-and-load. Once on site, the outdoor compressor room requires no more than an air-line into the plant and a power supply. Capital costs are reduced. Typical outdoor compressor rooms cost between $15,000 and $28,000 (depending on size and options) and include everything a compressor room would require, excluding the actual equipment. Compare that to a building addition that can cost more than $100,000 and may not be designed properly to house a compressor set. Keep in mind many provincial and municipal governments offer incentives to reduce water and energy consumption. The value of these incentives varies depending on the type and efficiency of the existing system. Contact your local utility for more information. Another option is renting a turnkey package. You treat compressed air as a utility, paying a fixed cost while the manufacturer is responsible for all the air and its quality. There are no breakdowns bills, no maintenance bills and no surprises. Not only is the air out of the plant, it’s also off the capital expense line. Safety and cleanliness. All too often we see compressor rooms that are hot, poorly lit and coated in oil and other contaminants. Air compressors often overheat due to blocked cooling mediums and intake filters. Safety in compressor rooms is an ongoing concern. When the compressor is located outside the facility in its own room, the issues surrounding cleanliness and safety are no longer a concern. Outside, the compressor room draws clean air and requires little or no cleaning. Furthermore, with proper lighting and temperature controls, outdoor compressor rooms provide a safe work environment. Proper design and operation. They maintain the ideal operating parameters for your compressor, thus increasing reliability, quality and life expectancy. Minute particles of the contaminants that clog oil coolers also make their way into the compressor lubricant, shortening the life of bearings and the all other internal moving parts. Outdoor compressor rooms are custom built specifically for the compressor equipment it houses. This means the intake, discharge and backdraft dampers are all engineered to maintain a steady temperature, regardless of the weather outside. Since the compressor is outside, it’s free from plant conditions and uses the cleanest air available. Green alternative. An outdoor installation is a practical way to apply green technology in a way that fits your business model. Air compressors use a lot of power so they are often subjected to scrutiny, and rightfully so. An outdoor installation addresses three environmental concerns. First, air compressors generate and discharge a significant amount of heat. Outdoors they maintain a steady internal temperature and ducting will reclaim the consistently warm air during the cooler months. Second, taking it outside reduces plant noise drastically, creating a happier and more productive work environment. Last, the use of shipping containers for compressor rooms takes advantage of single use yet reusable storage containers, and they require less material to build. Indoor compressed air may be the “usual” way, but it’s not the only way. Taking compression outside saves space, energy and adds some weight to the bottom line. 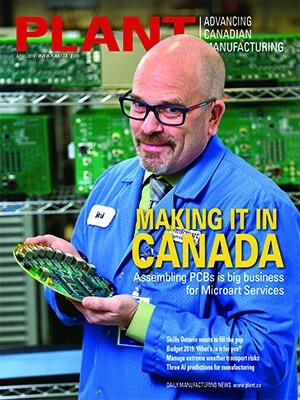 Brent Patton operates AirCell, a supplier of compressor technology in Mississauga, Ont. E-mail brent@aircell.ca. 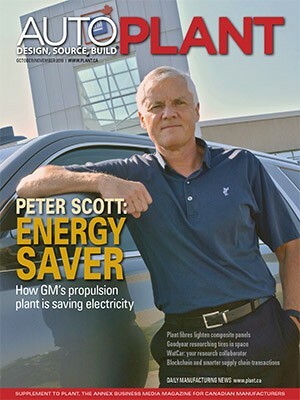 This article appears in the March 2012 edition of PLANT.